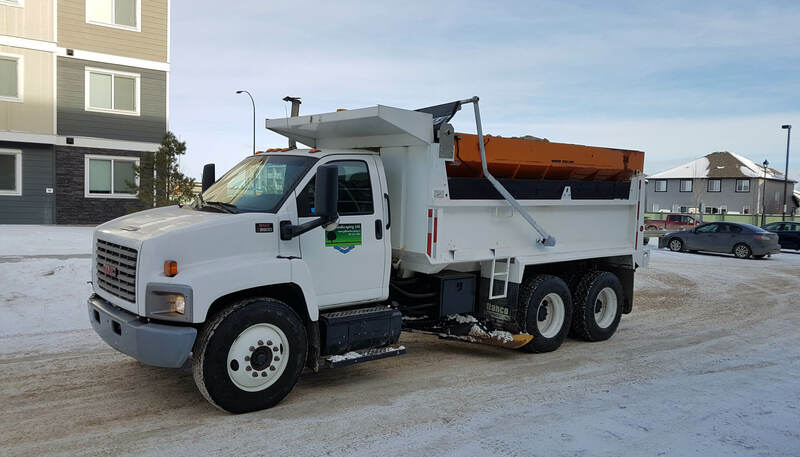 Why Commercial Snow Removal is Important - GDB Landscaping Ltd.
With the colder months upon us, and snow on the ground, winter maintenance services are high in demand. The increase in precipitation, ice, and snow build up can present a variety of serious hazards to business owners and patrons. Having regularly scheduled commercial snow removal not only provides peace of mind, but ensures easy (and safe!) access to your building. To find out why you should consider partnering with a local contractor, check out a few of the top benefits below! As we mentioned above, safety is a primary motivating factor for many businesses when it comes to snow services. Freeze/thaw cycles can leave your property slick, icy, and ready for an accident if not properly tended to, especially for elderly or handicapped patrons. Removing this risk helps protect you against liability, and keeps patrons happy. Snow build up can be a frustrating hindrance to your business’ profitability during the colder months. When patrons are unable to easily access your storefront or office, they are less likely to enter, which naturally decreases sales. Having your parking lot, walkway, and entrance cleared regularly will prevent this from becoming an issue. Cold weather isn’t just hard on our fingers and toes, without proper maintenance it can also be harsh on your property itself. Regularly maintaining your parking lots and general area will prevent accelerated wear and tear, especially during the spring thaw. Investing in a snow removal contractor will keep your property in top shape for the long term, saving you money on parking lot repainting, crack repairs, and more. Finally, having a contractor on hand means you’ll never have to worry about battling the elements on your own. Experts like our team at GDB understand that weather can be unpredictable, and we ensure our fleet of equipment is prepared to handle a wide variety of conditions, making sure you’re never stranded in the event of a sudden downfall. The right partnership means you can rest easy knowing that we have the best interests of your property and customers in mind! Learn more about our snow removal process and which options may be best suited to your needs by contacting us today!